Whether you’re on an entertaining browsing adventure, or want a quick, easy way to purchase the merchandise you need, you’re certain to find what you’re looking for in Sanford and Lee County. 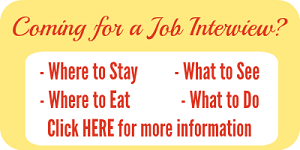 We have several hundred businesses of all types, close by and ready to serve you. You can see a comprehensive list in the Welcome to Sanford Business Directory. Of course, shopping experiences always go better when there’s dining to enjoy as well. This is another place where Sanford and Lee County really shine. The immediate downtown area is home to roughly two dozen eating establishments of all sorts, and the county itself has over a hundred places to enjoy a delicious meal, dessert, appetizer or snack. 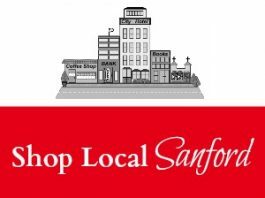 In addition to many locally-owned businesses and restaurants, Sanford offers a full selection of national chains for residents’ shopping convenience. It’s worth noting that these dozens of establishments are national in name, but local in approach; managed and staffed by hundreds of our friends and neighbors. 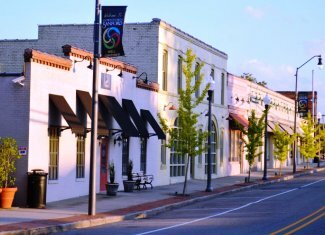 Whether your travels take you to downtown Sanford, outlying parts of town, neighboring Broadway, or other locations throughout Lee County, you’re sure to find a full selection of shopping and dining options.